Towards the end of the nineteenth century most of what now forms the London Borough of Ealing was entirely rural. However, the opening of the Great Western Railway in 1838, with its first station out of Paddington at Ealing, produced a great surge of building activity in Ealing. 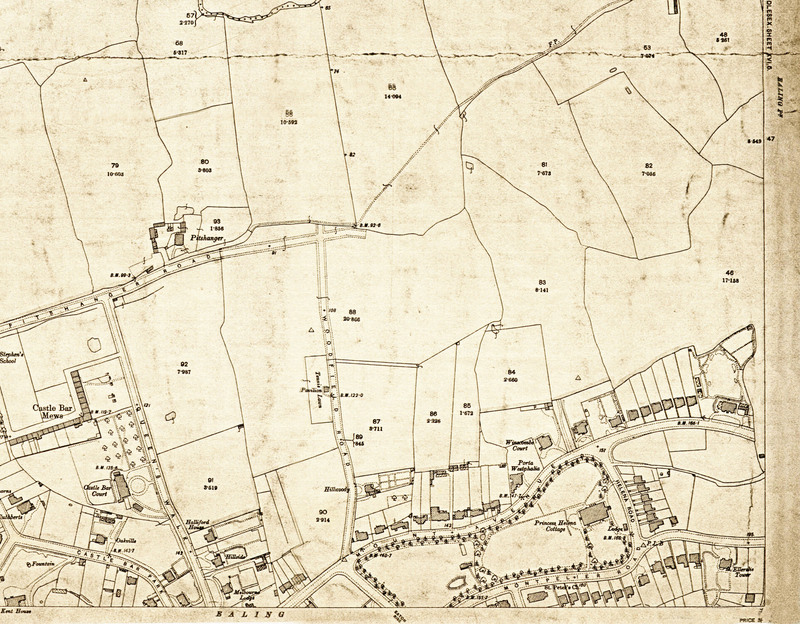 By 1901 the area had acquired borough status, but one area remained undeveloped: the farmland between Castlebar Hill and Hanger Hill, dominated by Pitshanger Farm. This area was about to become Brentham Garden Suburb, the first garden suburb founded on co-partnership principles. The origins of Brentham can be traced back to the Arts and Crafts and Garden City movements. The Arts and Crafts movement was a movement of social reform, led by William Morris, who advocated the need for beauty in man’s daily surroundings. Morris promoted the revival of traditional methods of building, using locally produced and hand-crafted building materials. The Garden City movement was founded by Ebenezer Howard in 1899 following the publication of his book Tomorrow: A Peaceful Path to Reform the year before, in which he gave a detailed account of his ideas about the planning and economic foundation of towns and cities. Tomorrow had enormous influence and led to the founding of the first Garden Cities: Letchworth in 1903 and Welwyn in 1920. His influence was not confined to cities, but spread to many suburbs, including Brentham, Hampstead and New Earswick in Yorkshire, which was founded by Joseph Rowntree to provide accommodation for workers in his chocolate factory. The keynote of Howard’s philosophy was co-partnership. He believed that given the right lead, working people could improve their own conditions. Behind his thinking was the Co-operative Movement and Tenant Co-operators Ltd, the voluntary housing association founded in 1888 by Edward Vansittart Neale and other members of the Co-operative Union. The principle of a co-partnership housing association was that each prospective tenant would take a share in the company’s capital, and as a shareholder would be entitled to a share of the profits. Further land could be purchased and all houses would be held in common by the Society, the absence of private individual ownership reinforcing each tenant’s personal interest in the prosperity of the development as a whole. In 1891 Howard established his own co-operative building firm, General Builders Ltd. This was a co-operative production venture which by 1897 comprised 17 branches. One of these was in Ealing, where six members of the firm decided to club together and buy plots to build nine houses in Woodfield Road. 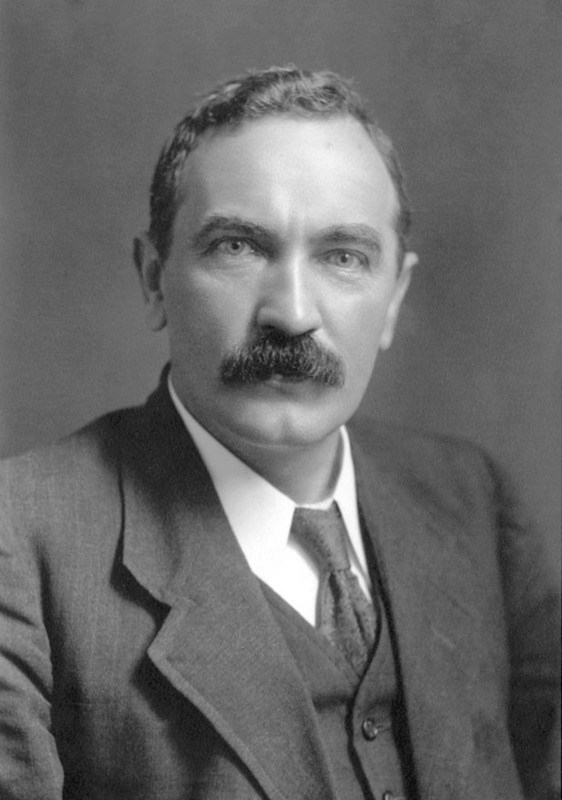 The group met at the Haven Arms in Haven Lane and discussed their plans with Henry Vivian (1868-1930), a man of great vision and ability, a carpenter and trade unionist and a Liberal Member of Parliament. Vivian was concerned with the improvement of housing conditions, especially for working people, so it is no surprise that Vivian encouraged the group of builders not only to build houses, but to form a tenants’ association, which became known as Ealing Tenants. Brentham, as the area was later called, was the pioneer garden suburb of the co-partnership housing movement. Hampstead Garden Suburb followed six years later in 1907. Between April and September 1901 discussions continued at the Haven Arms, and support for the new venture was sought from a number of influential sympathisers. Among these were Ralph Neville, K.C., who was chairman of the first Garden City company at Letchworth; and J.M. Ludlow, a former Registrar of Friendly Societies who had drafted the first Industrial and Provident Societies Act in 1852, and was one of the founders of the Christian Socialist movement. Other supporters were Lord Brassey, Sir John Brunner MP, Earl Grey, the Earl of Harrowby and Leopold de Rothschild (the Rothschild family occupied Gunnersbury Houseat the time). At a meeting held on 21 September 1901 Henry Vivian was able to announce that nearly £1,000 in share capital had been contributed and the roofs were being put on the first nine houses. Here is a chronological summary of events on Brentham from 1901 to the present day.